Suffering from a hand injury? In this vlog one occupational therapist gives amazing advice! Posted March 28th, 2018 by Richard Girling & filed under Hand/Wrist. Hand injuries are more common than one might think. They can happen to anyone, virtually everywhere, no matter their age, gender or occupation. 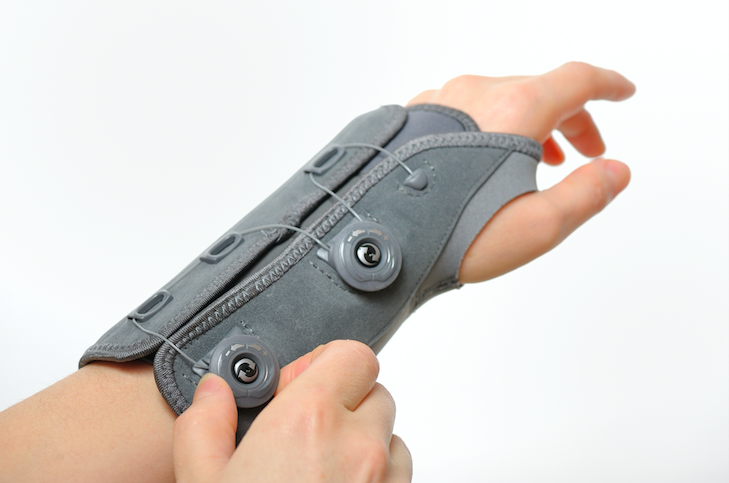 Our hands are extremely intricate in design and function and hence very prone to injuries. And when your hand is injured, your quality of life decreases, your productivity declines and you cease to be self-sufficient when it comes to many manual tasks. If you are suffering from a hand injury in Miami, bear in mind that in order to reduce the risk of extended immobilization (or, in most serious cases – a permanent handicap), even the smallest hand injuries require proper medical evaluation. If you’ve ever had an injury or dealt with chronic pain, you probably followed a pretty traditional course of action to address it. But just as primary care doctors are not the right choice to advise on your eye problems, neither they are sufficiently prepared to diagnose and treat hand injury. I believe that patients deserve to be able to bypass all of this hassle with finding the right specialist and get faster results by going directly to an occupational therapist who specializes in helping people with a specific pain problem. I feel there is a very low awareness that is it an occupational therapist (or physical therapist) who is best trained to diagnose your hand injury problem and provide a fully customized treatment option. Such treatment options do not involve prescription medications (as a matter of fact, in Florida you don’t even need a prescription to see an occupational therapist). My work here, at Hands on Therapy Services, focuses at ensuring that my patients can avoid painful injections or surgery, and that a full recovery can be achieved by tailoring my therapy to each and every patient’s unique treatment needs. But I cannot emphasise it enough: The best results can be achieved when both the therapist (such as an occupational therapist in Miami) and the patient work TOGETHER and complement each others efforts. Your occupational therapist in Miami or your physical therapist in Miami is meant to guide you and instruct you on how to perform the exercises at home. https://ristroller.com/blogs/rolling-with-it/foam-roller-ot, where she spoke about how she uses RistRoller pre- and post-op. Check out Hoang’s videos and amazing guides on handsots.com, where she tells you what to do, step by step, in case of a hand injury in Miami (she also gives post-operative treatment advice). You may want to also hear what others have said about Hoang and her clinic. Visit http://www.handsots.com/whom-we-help/ or simply call them directly at 786-615-9879 and receive the best possible care and hand therapy in Miami! At Hands on Therapy Services, Hoang’s and other therapists’ mission is to help you make the best decisions on what to do for your health and well-being. You will receive answers you need and professional help that will bring you back to full recovery.